It is important to minimize the impacts of pesticides on bees and other pollinators, as well as beneficial arthropods. Pesticide applicators must use appropriate tools to help manage pests while safeguarding pollinators, the environment, and humans. Using IPM to reduce pesticide usage and minimizing the potential of exposure when pesticides are needed are two important practices for protecting pollinators. 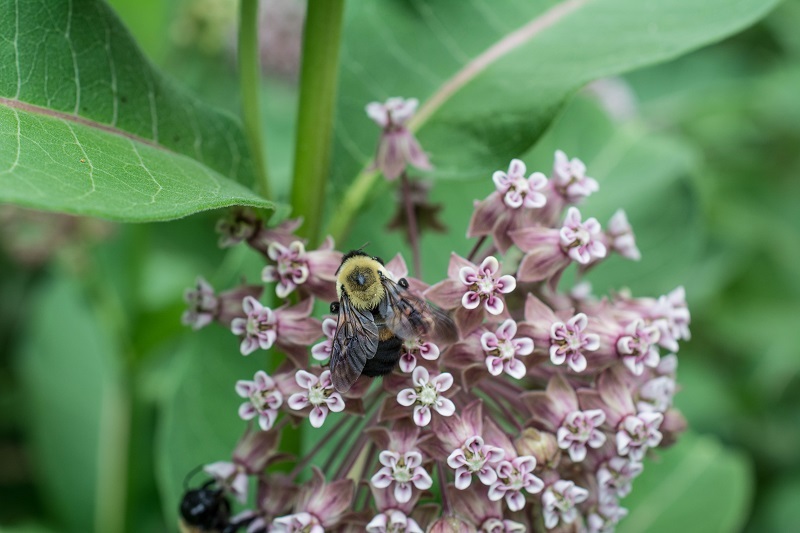 Before applying a pesticide, scout/inspect the area for both harmful and beneficial insect populations, and use pesticides only when a threshold of damage has been indicated. 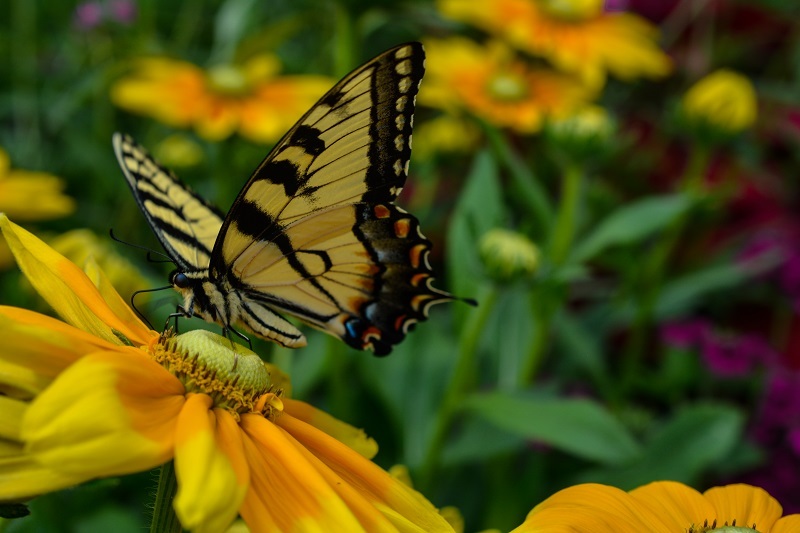 Consider lures, baits, and pheromones as alternatives to insecticides for pest management. When pesticides are needed, select one – when possible — with a lower impact on pollinators, such as granular formulations of pesticides that are known to be less hazardous to bees. Avoid applying pesticides during bloom season and mow first to remove blooms, including the blooms of flowering weeds. 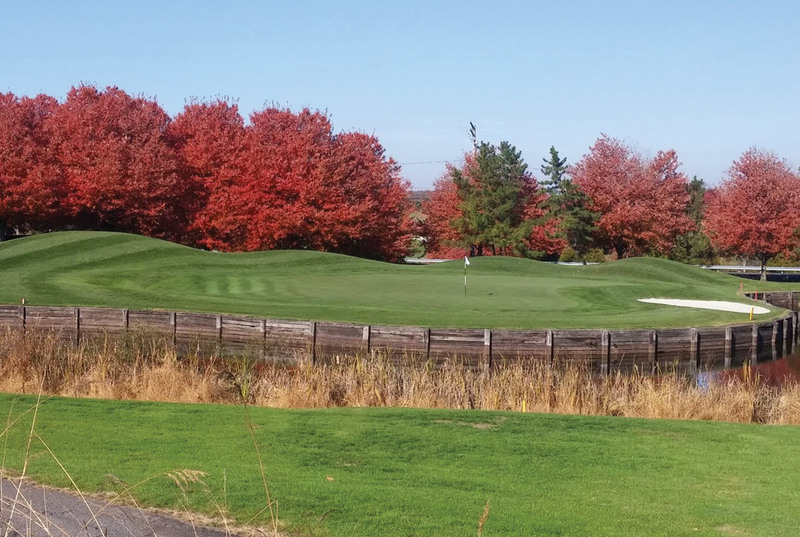 Avoid applications during unusually low temperatures or when dew is forecast. Do not apply pesticides when pollinators are active. Use the latest spray technologies, such as drift-reduction nozzles to prevent off-site translocation of pesticide. Pollinators at Baltimore Country Club. Photo credits: Mark Jones.